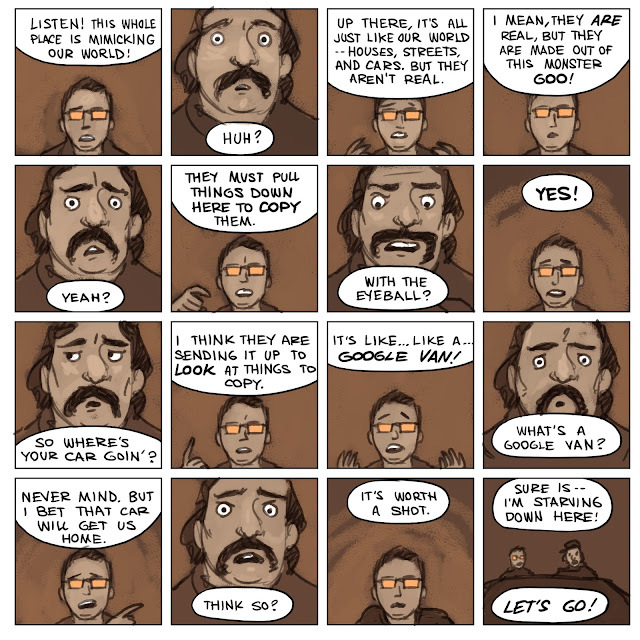 A GOOGLE VAN OF DOOM! I love it!! Hmmm interesting--I never thought of that angle. cole:I think theyr'e going to escape on a Google Van. is this comic going to be a real series of graphic novels? This comic is just some stand-alone blog fun. But it has sure been giving ideas for a full-sized graphic novel. Who knows.